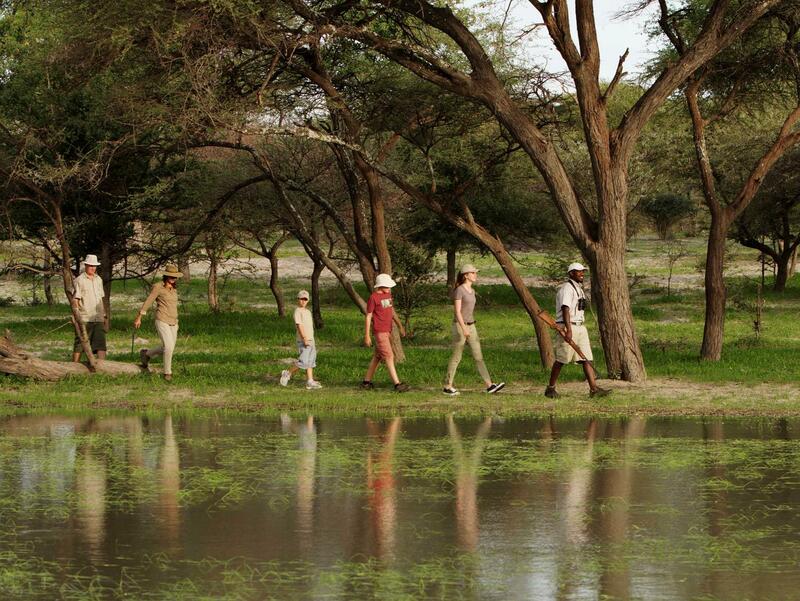 At Footsteps Across The Delta you enter one of the great, untamed regions of Africa: the spectacular Okavango Delta. 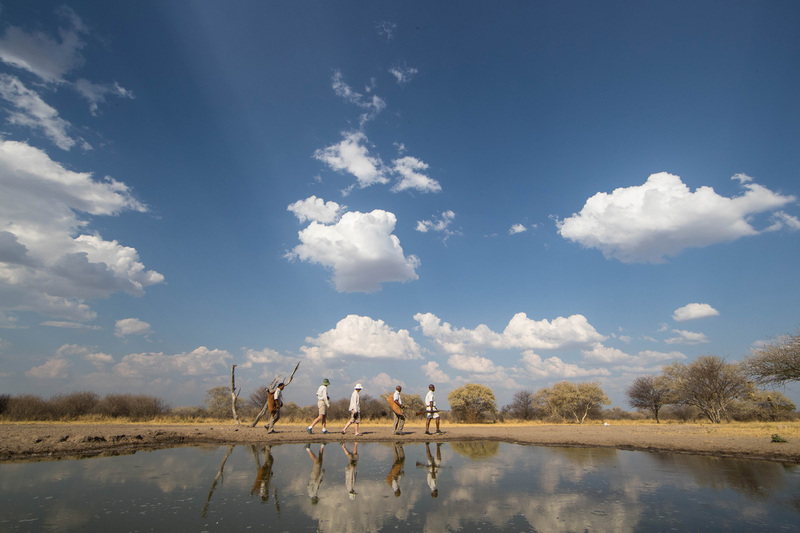 Experience the astonishing contrasts created when the mighty Okavango River flows into the arid Kalahari Desert – the result is a variety of habitats, riverine forest, palm islands, permanent swamps and dry sandveld all with an unparalleled wealth of animal diversity. 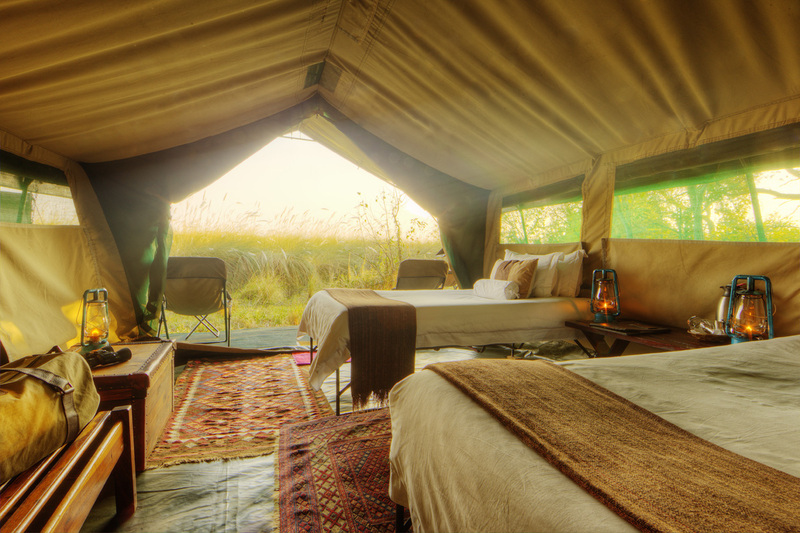 This safari maintains the elegance and eccentricity of the original ‘under canvas African safari’.  The emphasis is on exploring this breathtakingly beautiful and diverse environment as the first African explorers did, either by Mokoro (dependent on water levels) or on foot. 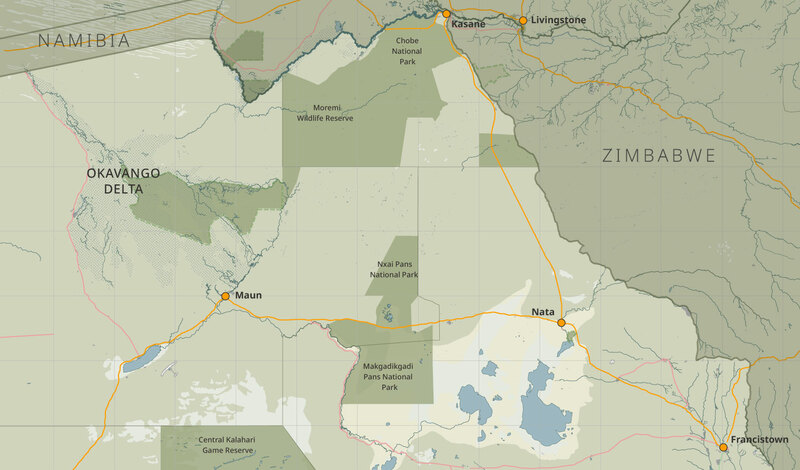 On arrival in Maun you will be met by a Ker & Downey Botswana representative, then board a light aircraft transfer to the Shinde Private concession. The flight is approximately 25 minutes and you will be amazed as the desert transforms to delta before your eyes.  At the airstrip you are met by your guides and transfer in a 4×4 safari vehicle to camp. 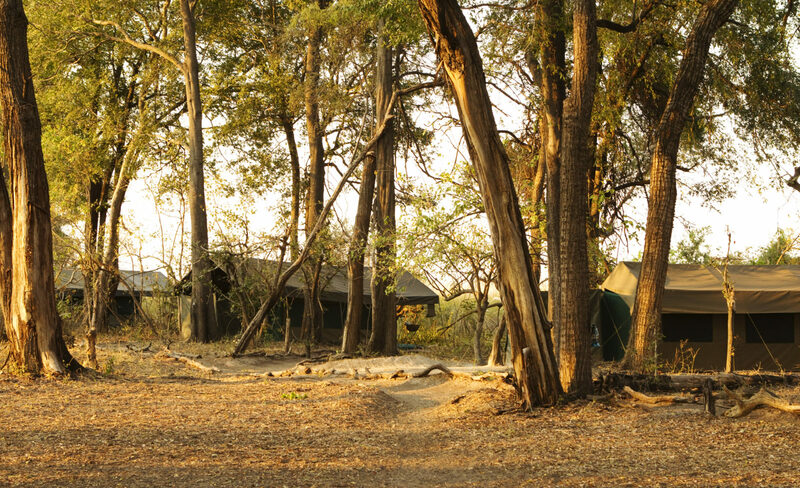 Over a refreshing drink and light lunch you will be briefed on activities and safety during your stay, then it is time to settle into camp. 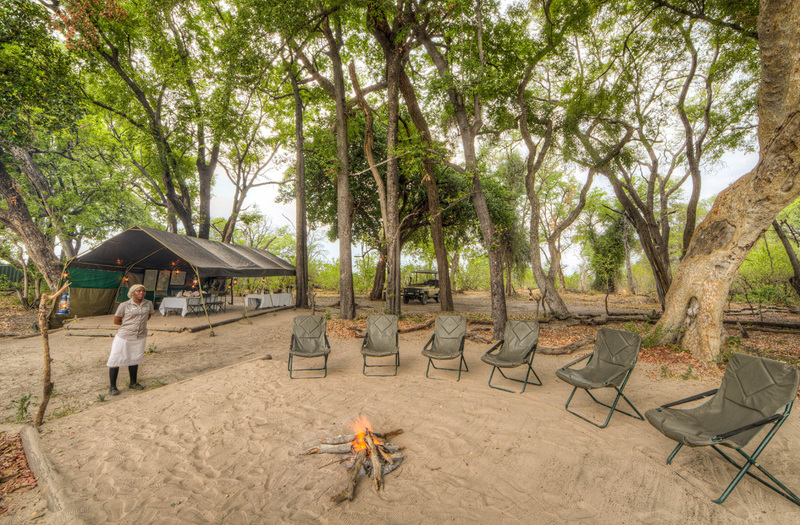 On return to camp take a piping hot, bucket shower under the stars, before aperitifs around the fire. During a sumptuous dinner, we discuss the lessons of the day, and learn more about Botswana, the history and its people. 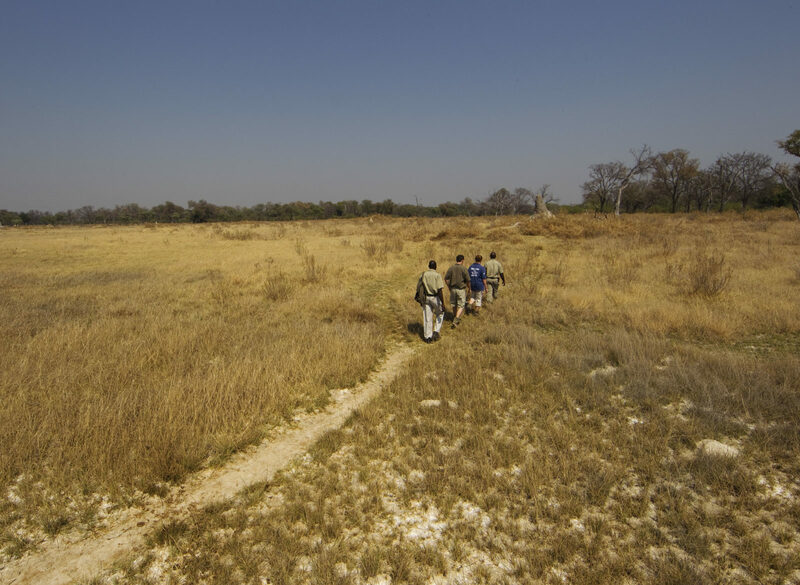 Woken early by the sounds of the bush we head out again in search of wildlife learning about tracking skills over the thick Kalahari sands. Lions can be found and other species of mammals seen on walks include buffalo, wild dog and cheetah. All can be viewed safely on foot from a respectable distance and encounters like these are the ones you’ll never forget! The afternoon is time to take it easy after the long morning walk! Perhaps trying a spot of fishing, Okavango style, either along the banks of lagoons and channels or, for the more adventurous from the mokoro!  Alternatively should you wish to take a game drive to explore the area slightly further afield you may also do so as the safari vehicle is always at your disposal. The final dinner is cause for much celebration as the safari draws to an end, toasting new friends, reminiscing over unique experiences and lifelong memories, finally drifting off to sleep with the ever-present chorus of the hippos and the tinkle of the reed frogs. The morning is spent according to your departure time, and if time allows, a final activity. A final drive back to the airstrip and it is time for farewells to your guides, before taking off to your next destination, leaving you pondering a final thought… How long will it be before you can return?